American-born chef Daniel Rose has taken over a Parisian hallmark, Chez La Vieille, in the 1st arrondissement. After refurbishment, the restaurant is set to reopen in March 2016. Chez La Vieille, 1, rue Bailleul, 75001 Paris, 01 42 60 15 78. Following Clover and Le Grand Restaurant, chef Jean-François Piège plans to open another restaurant, Clover Grill, on 6, rue Bailleul in the 1st arrondissement. It will be devoted to wood-fire grilled fare and feature a cocktail bar. Clover Grill, 6, rue Bailleul, 75001 Paris, 01 40 41 59 59. 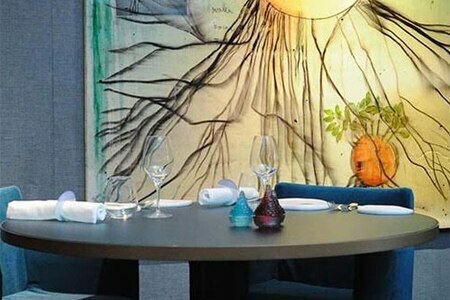 Etoile-sur-Mer, the seafood restaurant of chef Guy Savoy that had replaced for a few months his flagship establishment that relocated to the Hotel de la Monnaie, has finally ceased business in January 2016. A regular customer bought the place to transform it into a spot dedicated to traditional fare. Etoile-sur-Mer, 18, rue Troyon, Paris, France 75017, no phone. Chef Akrame Benallal will temporarily close his fine dining Restaurant Akrame near the Place de l’Etoile from April to September 2016. Designer Noé Duchaufour-Lawrance will entirely make over the décor with a contemporary twist. Restaurant Akrame, 19, rue Lauriston, Paris 75016, 01 40 67 11 16.